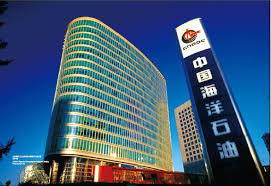 CNOOC Limited announced its key operational statistics for the third quarter of 2015. In the third quarter, the Company achieved a total net production of 127.5 million barrels of oil equivalent (BOE), representing a significant increase of 23.8% year over year (yoy). Net production from offshore China reached 83.3 million BOE, a 28.2% yoy increase, primarily due to the production contribution from newly commenced projects in Bohai and the Eastern South China Sea. Meanwhile, net production from overseas rose 16.5% yoy to 44.3 million BOE, mainly because of maintenance at the Buzzard oilfield during the same period last year and new production from the Golden Eagle project in the U.K. North Sea. During the period, the Company made 3 new discoveries and drilled fourteen successful appraisal wells in offshore China.